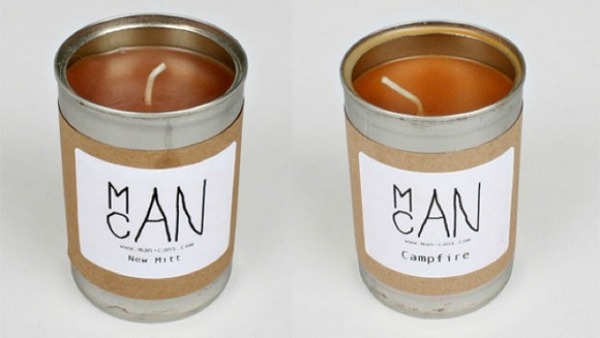 Man Cans – because lavender candles just aren’t manly! When I was little, the standard Father’s Day gift was Soap on a Rope and Mother’s Day meant a muslin bag of potpourri. These days, school Father’s Day and Mother’s Day stalls are all about mugs and scented candles. Well, now dads can get an aromatherapy candle too. I’m not sure what I like most about Man Cans aromatherapy candles for men – the dazzling range of scents or the fact that Man Cans were created by entrepreneurial youngster, Hart Main. Main started his business with a one hundred dollar investment that he earned delivering newspapers. With special manly scents such as ‘Grandpa’s Pipe’, ‘Sawdust’ and ‘Dirt’, Man Cans have become so popular that Hart is struggling to meet orders and still go to school (luckily his mum and dad have stepped in to help, leaving plenty of time for study!). So dads, after a hard day at the office, come home, put on your slippers and light a candle for some indulgent ‘me’ time – New Mitt (a fresh leather fragrance) or ‘Campfire‘ should be perfect. Poker night? Your chums will be impressed when you set the scene with a ‘Bacon’ candle or straight-out-of-the-oven ‘New York Pizza‘ scents. I should also draw attention to the fact that Man Cans has a nice eco-friendly element – all the cans are recycled from soup kitchen and hospital donations. Man Cans are US$9.50 each, though are currently only available in the US.